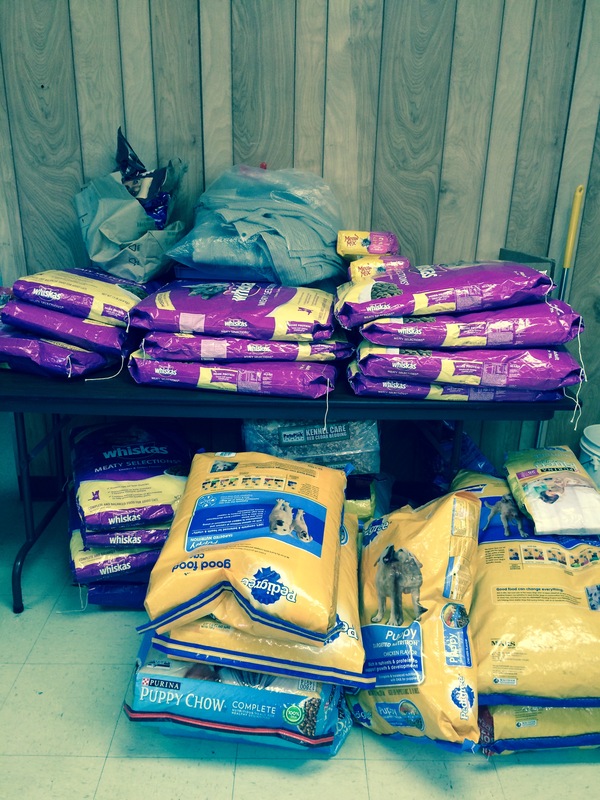 Anson County Animal Shelter….Just the Beginning of Positive Change. 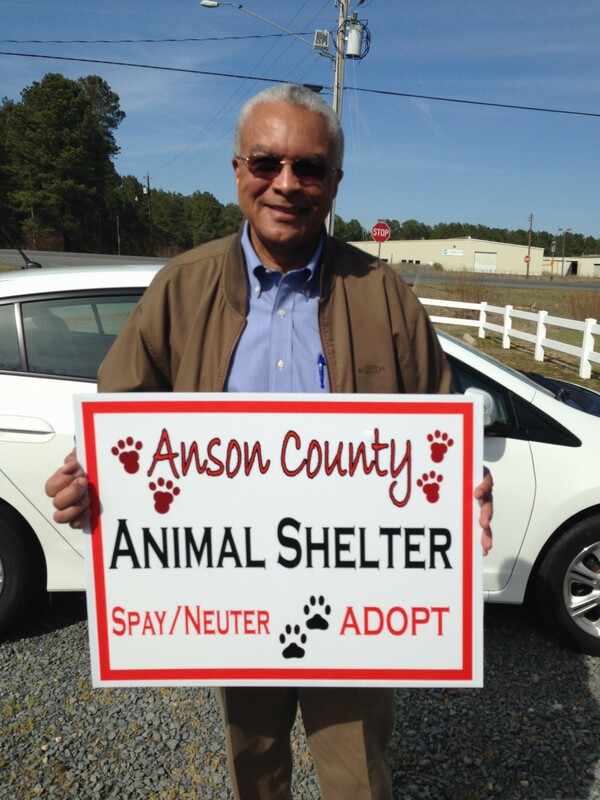 A very proud Mr Lawrence Gatewood, Anson County Manager, hold the sign for the new shelter! 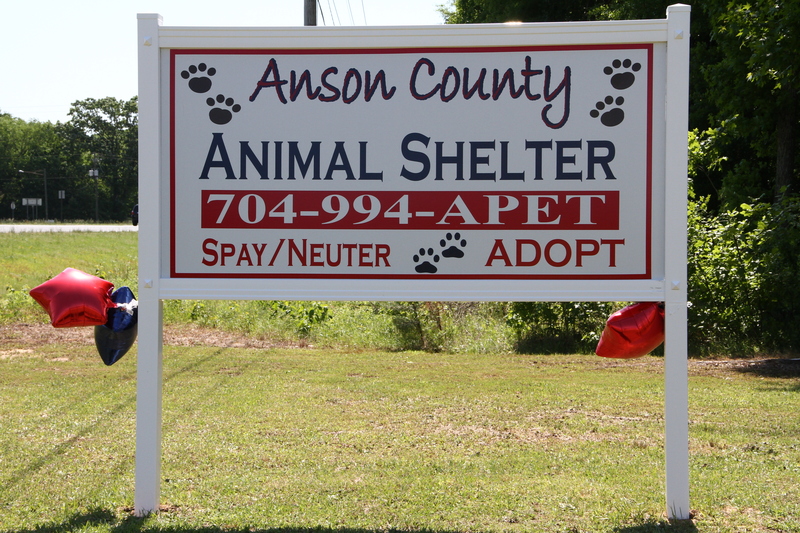 On May 17th 2014 we were honored to be invited to the Grand Opening of the new Anson County (NC) Animal Shelter, a vision of the County Manager and several other Anson County leaders. The old county animal shelter had been more of a “dog pound” type operation which had very limited public hours …and very few adoptions/adoption opportunities for the public. This was no longer felt to be acceptable and so the County embarked on a mission to organize a shelter that would have longer hours and work with reputable rescues in order to save more animals’ lives! The planning for this began over a year prior to the Grand Opening. The vision started to come into reality when the County was able to purchase the former Brown Creek Animal Hospital from Dr. Wright for a price of $250,000. This facility sets on right around 4 acres and had undergone 2 expansions in the early 2000s. The County was able to raise just over $130,000 of this money by the sale of one 89.34 tract of timberland that they weren’t going to use! In other words, the County “thought outside the box” and tapped resources they weren’t using to make this happen! The County then proceeded to remodel the facility to include 50 kennel runs and also added cat cages as well as intake areas, play areas and exam rooms. The announcement of a new animal shelter in late 2013 generated a groundswell of public support. One gentleman called immediately offering to donate equipment from his father’s former Veterinary clinic. Shortly thereafter, there were community meetings to form the Friends of the Anson County Animal Shelter, whose goal is to achieve 501c3 status and aid the Animal Control staff in saving even more animals. 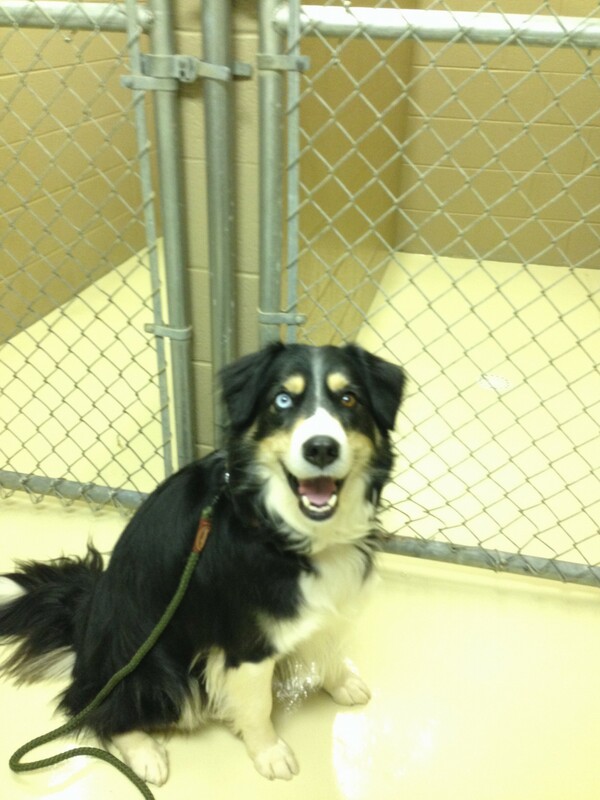 McGrady in front of one of the brand new kennel runs for the dogs! McGrady with Mr Lawrence Gatewood (Anson County Manager), Ms Becky Wilson (ACAS Shelter Director), and Ms Bonnie Huntley (Clerk to the Board) who met us a good month before the official public opening to give us a Grand Tour of this awesome facility! 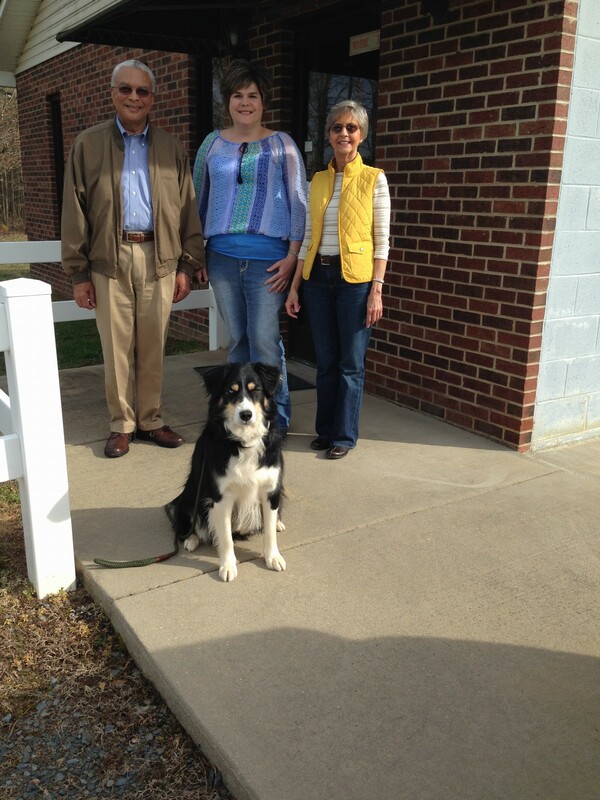 On March 21, 2014, we were honored to receive to a private tour of the facility from none other than Mr Lawrence Gatewood, County Manager and visionary behind the new shelter as well as the new Animal Control Director, Ms Becky Wilson, and Ms Bonnie Huntley, Clerk to the Board! Fabulous McGrady and Friends Foundation was excited to deliver dry cat and dog food to help the shelter start off with a good food supply (remember, having more food enables shelters to give animals more time!). This, on top of a large donation from an animal welfare advocate from Ashe County, got the shelter started off with a healthy supply of dog food. We were fortunate to have been the recipient of a food drive during the Pawz Party at Barks, Bones & Biscuits Bakery on May 4, 2014. All of that food went with us to the shelter! We also ordered and drop-shipped 9 Fortex 15-gallon tubs that the shelter wanted to use for puppy beds (on top of blankets padding the tubs, of course). Since the shelter’s opening, they have set up a Facebook page and have tried several adoption initiatives. Their most recent adoption event, a $25 December adoption fee, resulted in 45 adoptions that month. Several cats who had been at the shelter since the Grand Opening found homes! On Saturday, January 10, 2015, we again visited Anson County Animal Shelter to deliver some much-needed puppy and kitten food. FMFF had received a large donation of adult cat food from a relative of our founder. We contacted ACAS who reported they could use it. 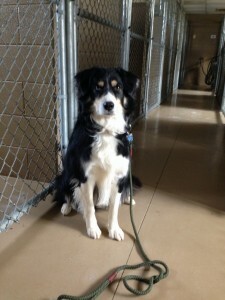 We split this between ACAS and Scotland County Humane Society. ACAS noted that they could very much use puppy and kitten food as most donors brought them adult pet food. Together with the aforementioned adult cat food, FMFF brought a total of 419.5 pounds of food to the Anson County Animal Shelter. We had also received a large donation of individual bags of dog treats. ACAS expressed interest in those as they could include them as part of a “goodie bag” for people who adopted dogs from the shelter. 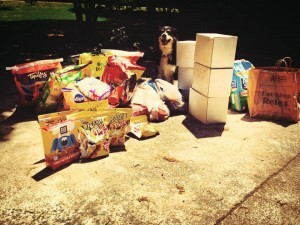 We dropped off 24 such bags of treats….another 24 went to SCHS for their foster homes. 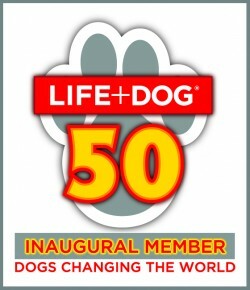 FMFF will be ordering and drop-shipping collars and leashes for the ACAS to include in the “goodie bags”. 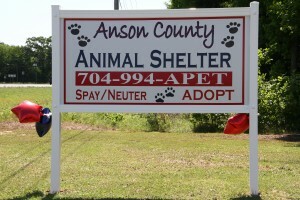 Follow Anson County Animal Shelter on Facebook here. Stop by with a donation of kitten or puppy food! (Shelter hours are on their Facebook page—see above—it’s always good to call ahead!). Early Spring is an especially busy time when “Christmas puppies and kittens” start growing, lose their puppy/kitten cuteness and start to be turned in to shelters everywhere so this is a time of year of special need for kitten/puppy food. 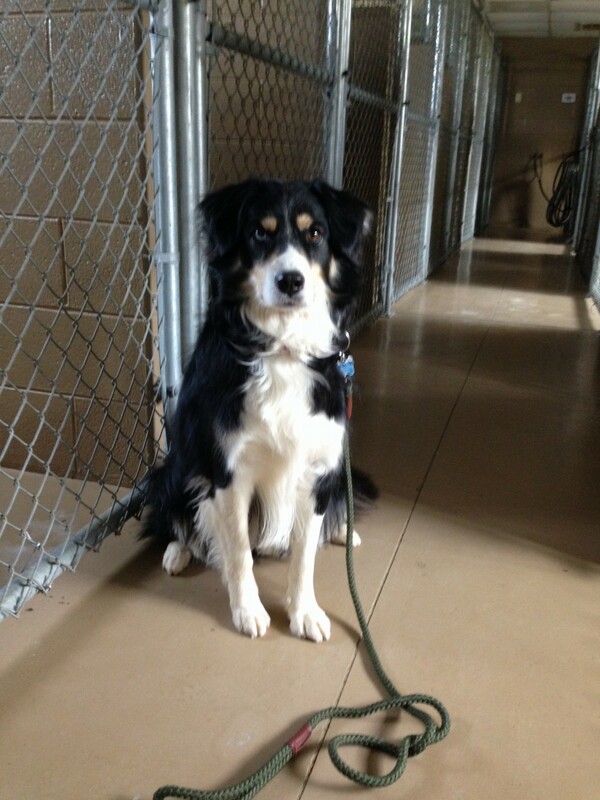 McGrady is a 5.5 year old Aussie passing on the kindness of the rural shelter staff who saved him via his foundation that provides rural shelter assistance, promoting deaf dog fabulosity & just having fun with his siblings and foster pups!